The heat wave of early spring means the lettuce in my garden has grown bitter and quick to bolt (enter ex-boyfriend’s name here). I’ve been leaning on the grocery store for lettuces and have discovered a little gem. Tanimura & Antle little gem lettuce is an absolute winner and can be found at the regular old grocery store — even our local Von’s (Elizabeth, are you listening?). 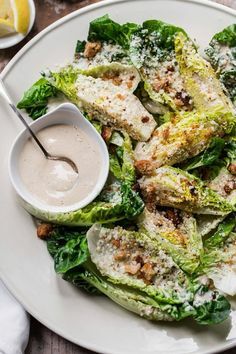 With its sweet flavor, terrific crunch and small ruffled edges, this lettuce sends standard Romaine in it’s dust. I’m also obsessed with the small size that sends my mind racing to all the things you can do with these little gems. Slice the head in half and serve a wedge style salad drizzled with my favorite Thousand Island Dressing and flash fried local ridgeback shrimp. The leaves are crunchy enough to use in lieu of sandwich bread. Pile on Mediterranean Chicken Salad – the lettuce is strong enough to really scoop it up with a fresh crunch. Pull the leaves apart and toss with a simple vinaigrette, add some sliced avocado, radishes and feta, serve with flat iron steak and dinner is served. Now, let’s go over washing these little gems. Most of the time, I like to keep the lettuce head whole. First, peel off the very outward pieces (feed them to your tortoise or bunny in residence). Next, fill a bowl with clean cool water and dunk the heads of lettuce, shaking off the excess water. Lay them out on a towel standing-up head down — isn’t that a yoga position? If you aren’t using them right away, store wrapped in clean kitchen towels in the fridge. If you aren’t going the wedge route and want to separate the leaves for your salad, wash with the same method but dry with a salad spinner. You can also dry your lettuce in this super fun way that my kids love! OK, now that I’ve let you in on my grocery store find, be sure to leave one baggie for me in the produce aisle. Thank you for showing this lettuce. I needed to find a better lettuce. And this is definitely it. This weekend I’m trying it. I really enjoy your blog. I came across it, reading about you in a Santa Barbara magazine. It’s tips like these that ingratiate us to you! Thanks! This lettuce looks great. Thanks for letting us in on your find. Do you have a homemade Thousand Island dressing recipe or do you buy pre-made? Thanks! Hi Heather, there’s an embedded link in the post – but here’s the direct line to my dressing: Cheers! Found some over the weekend and based on your recommendation, bought and subsequently loved them!! Thanks again!! Found the Little Gems at grocery over the weekend and can’t wait to try them tonight! Terrific, Susan! Glad they were a hit. Thank you, dear Susan! I appreciate your unyielding support! kiss! Try it, Bill! It’s so good!! !